The Apostle Paul's earliest surviving letter, Galatians gives its readers an insight into Paul's life as a Pharisee and persecutor, and the change brought about through his amazing conversion. Paul Barnett's enlightening commentary shows readers the apostle Paul's defence of the truth he now held to at any cost, and his heartfelt desire to protect the Galatian church from false teachers who sought to impose the old law-driven perspective on new Christians, both Jew and Gentile. "This series of commentaries has great depth without being too technical. I highly recommend it." Galatians : Defending the Truth by Paul Barnett was published by Aquilla Press in September 2012. 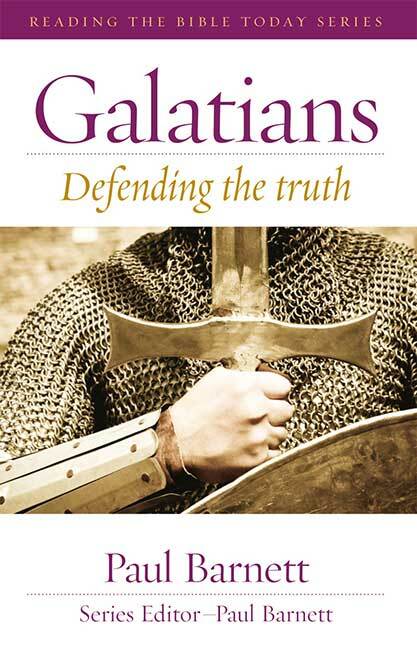 The ISBN for Galatians : Defending the Truth is 9781921460913. Be the first to review Galatians : Defending the Truth! Got a question? No problem! Just click here to ask us about Galatians : Defending the Truth.